Some of our customers are doing such important, innovative, and amazing things with their spaces online that we can’t help but ask them to share their secrets. 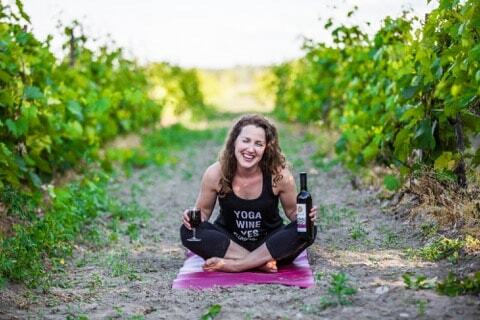 Janine Hogg is the entrepreneur behind YogiWino, a new business in Ottawa, Canada that pairs downward dog poses with a glass of vino. 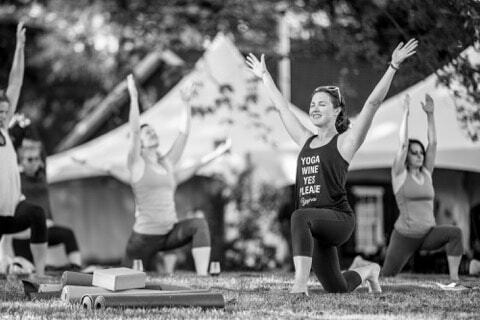 Thanks to Janine’s leadership and thinking-outside-of-the-box style, never again will you have to choose between your beloved wine or your (maybe less) beloved yoga practice. 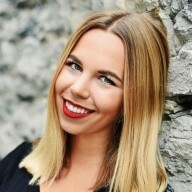 We recently chatted with Janine about what inspired her unique business and how she finds strength in a tribe of fellow Canadian entrepreneurs who are making their mark with the .ca domain space. What is the story behind YogiWino? In many ways, the story behind YogiWino is a long one. Here’s the Coles Notes version: New mama makes discoveries about who she is and what is most important to her. New mama experiences burnout after her return to work because her career no longer jives with her self-identity. New mama decides on a whim to become a life coach and yoga teacher. New mama leaves the stable job without knowing what’s next. New mama gets a crazy idea and decides to go for it. New mama doesn’t look back. How did you decide on the name? Was there a process behind the branding? The idea to go with “YogiWino” just came to me and I bought the domain without giving it much thought. Then, as usual, I overthought the name thing like a madwoman; it’s what I do best. After meeting with the sommelier at Domaine Perrault to discuss doing an event there, I decided to just go for it: to trust that the idea had found me and that I didn’t need to overthink it anymore. 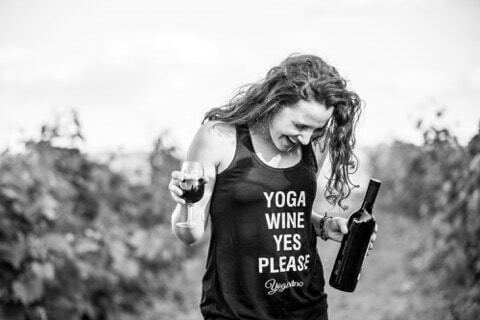 The name “YogiWino” illustrates the perfect pairing of yoga and wine (“yogi” being the nickname for a yoga practitioner and “wino” being accepted slang for a wine-lover). Since my events pair yoga and wine, it really is the perfect name to convey my brand. It’s fun and a little tongue-in-cheek, and that’s all part of what I want this business to be. 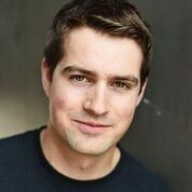 Why is your online presence so important? My online presence is key to my branding; it’s my digital business card and the single most powerful tool I have to tell customers what YogiWino stands for. My website is my chance to inject myself into my business brand and I love the creative freedom it gives me. I’m happy with what I’ve done with my site and my social media presence thus far, but I know there’s more work to do. For instance, I’m so excited to set up an online store that will allow me to sell my YogiWino apparel globally. Thanks, Rebel, for making it all so easy! Where to start? I’ve always been so inspired by other entrepreneurs: They take risks. They put it all on the line. They put themselves on the line. I consider myself very fortunate to have watched self-starters grow from big dreams to big success (Rebel included in that, BTW!). Also, nature inspires me immeasurably. Get this girl outside by the water, under the stars, or watching a good sunset, and she’ll glow from inspiration. Most of all, however, I’m deeply inspired by my family. Becoming a mom taught me so much about myself: the person I want to be and the kind of world I want to help create. Motherhood has not only taught me how much I have to learn, but also what I have to give. 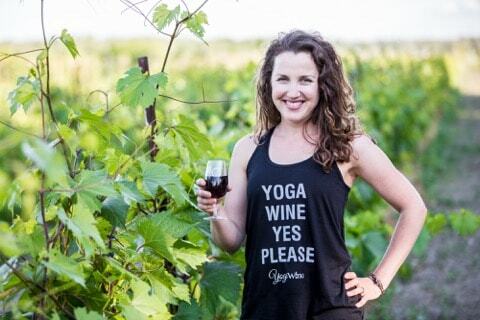 We all have uniqueness to offer this world, and I am inspired knowing that YogiWino is an avenue for sharing my own uniqueness. What is the bravest thing you’ve had to do as an entrepreneur? My kids. The life I’ve created with my hubby. The ways I’ve grown since becoming a mom. I’ve received so much amazing advice over the years, but one thing really stands out for me. I will never forget a manager telling me to “be more Janine.” He saw me holding back because of self-doubt and he knew I had more to offer. And what more can we offer the world other than ourselves? That is all we should ever try to be. Thank you, André! Do you find that using a .ca domain has helped your business in any way? Absolutely. Having a .ca domain is very important to me. Canadians love Canada and I think we all want to support our “tribe” of entrepreneurs. The .ca brand is like a maple leaf tattoo for my business. I sport that ink with pride! My greatest challenge has been keeping my kids as my priority while building this business. 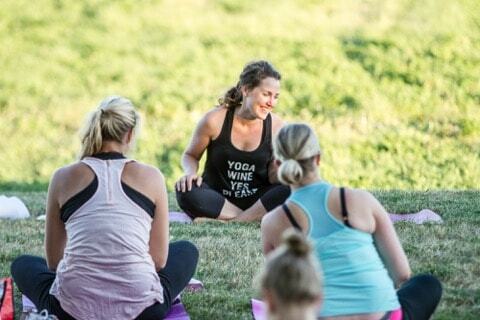 It hasn’t been easy to find a healthy balance every day, but, as I tell my YogiWinos, balance is a bigger-picture reality and life isn’t going to be perfect day-to-day. It’s not supposed to be. I’ve really been trying to focus on taking care of myself by eating well, staying open, and taking time for the things that keep me happy. When I’m energized in that way, I am a better mom and a more creative entrepreneur. Despite what my brain (and the better part of the business world) might tell me to do, I’ve decided not to have an official business plan. Instead, I’m doing my absolute best to just take things one day at a time and follow my gut. It’s been an approach that has brought me this far and I think it’s the approach that will leave me with the least regrets. I believe that anything is possible if you put your heart into it. And, this business is all about heart for me. I will do what my heart prompts me to do and am so excited to see where it all takes me. I have dreams to sing more, write a book, organize women’s retreats, and keep spreading YogiWino across the globe. The sky is the limit and I believe this business has the potential to soar to some pretty great heights. Thanks for coming along for the ride! Has Janine’s story inspired you to launch your own business? Get that website going right now! Rebel intern turned Marketing Coordinator. A public relations grad who is an avid swimmer, yoga enthusiast, & plant-based eater who eats more hummus in a day than the whole office does in a week.